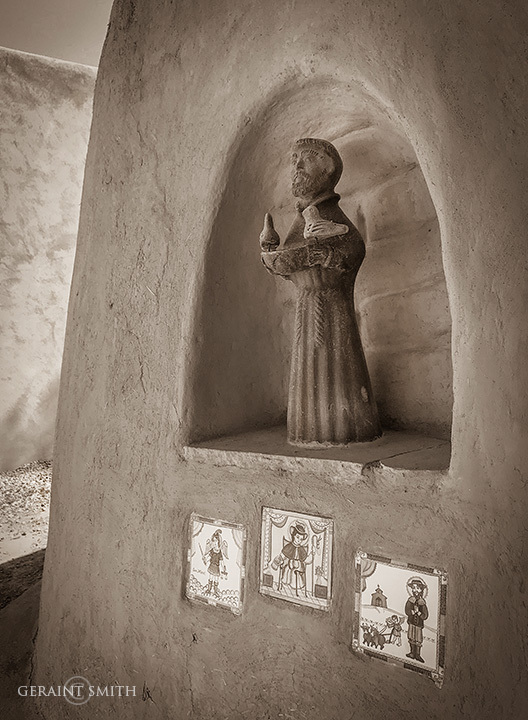 Nicho, San Francisco de Asis, across the plaza from the church. Beautiful, tonal photograph, Geraint. Even in a photo St. Francis’ eyes seem to be looking at you. The statue and niche are nice on their own, but the inclusion of the tiles add both content and context. The toning is spot on.